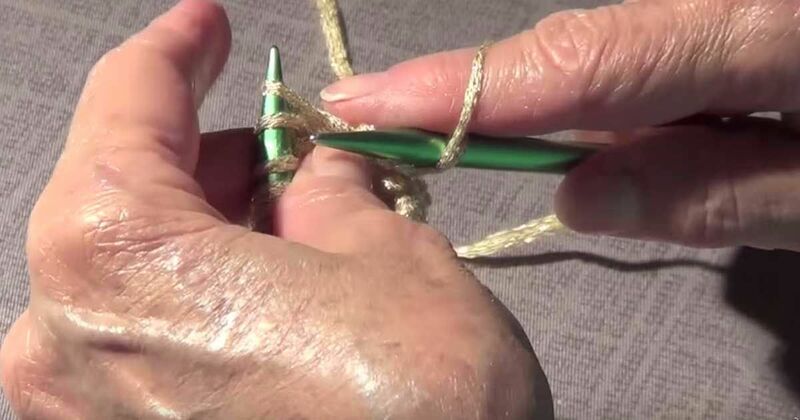 There is more than one way to knit a picot edge. This is the fold-over hem version, (created at the beginning of your work as a means of casting on rather than at the end of your work as a bind off), which gives a super clean, cute bottom edge to your knitting. 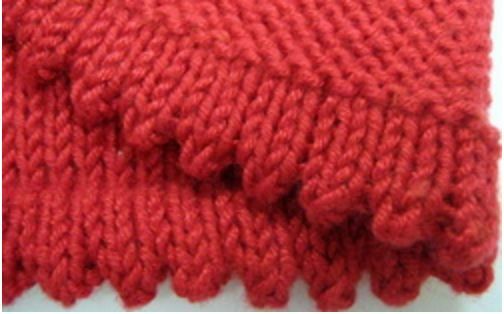 I especially like using the picot hem for baby and kid knits like hats, sweaters, and dresses. Check out the video tutorial below from JoannesWeb. Pro Tip: Wool-based yarn will hold the shape of your picot hem more solidly, whereas a silk- or bamboo-based yarn will give the hem more drape. Pro Tip: For even more drape using one of the above yarns, use needles one size larger than suggested on your yarn label. Using a provisional cast on (I like the crochet method), cast on an even number of stitches and knit in stockinette stitch (k all stitches on right side of work, p all stitches on wrong side of work) until your piece measures the desired length of your hem. After a purl row, begin Row 1 below on the right side (knit side) of your work. Continue to knit in stockinette until the length of your piece is even on both sides of your yarn over row. To join the hem, unravel your provisional cast on and pick up the live stitches using a new knitting needle. Fold your work in half along the yarn over row and hold your cast on stitches and your working stitches together, wrong sides facing each other. Next Row: Insert your right-hand needle into your first working stitch as if to knit, but also insert it through the corresponding first stitch on your cast on edge. Knit these stitches together. Continue to k2tog from your front and back needles across the whole row until all of your stitches are back on one needle. Continue knitting as indicated in your pattern.